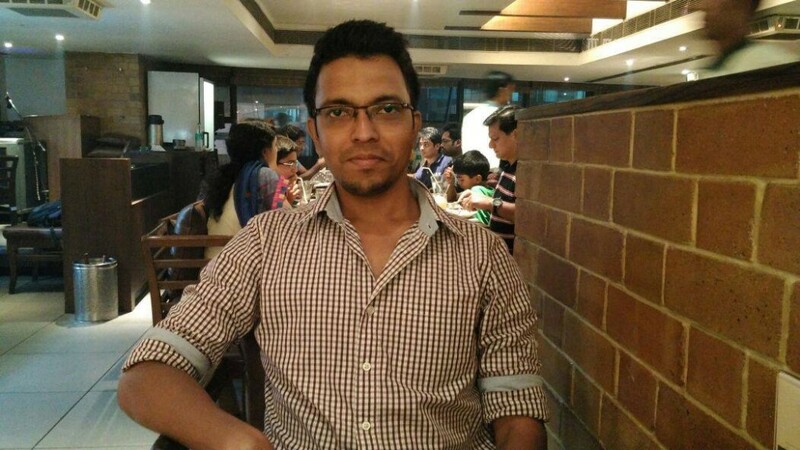 Saikanth Varma, DD/CS/2011, AIR 18, CSE 2014. In the midst of my debacled campus placement in the final semester of college, I attended an Extra Mural Lecture (EML) by an IAS officer, Mr. Srivatsa Krishna, and subsequently watched his “Big Dreamer Sessions: Srivatsa Krishna” on Youtube where he talks about transformational leadership of bureaucrats, citing several examples from setting up of IT hub in Hyderabad and devising a virtual queuing algorithm that drastically reduced the waiting time for the pilgrims in Tirumala to delivering government-led metro projects on time. This talk made me realise the kind of an impact a civil servant has on the society. The nature of the job itself ensures that is one of the best ways to serve the nation directly and improve the lives of fellow citizens. Civil Services is also a very diverse career. One would begin at the grassroots level and then move up the career ladder donning different roles at different times. A count of various ministries and the departments in the Government, each headed by an IAS officer, serves as a measure of the diversity that this career offers. There is always a place in this career for candidates with various backgrounds. As an example, someone with a technology background can get to use her expertise on technology to improve the administration at various stages – improve transparency and accountability in decision making, better the delivery of public goods and services, minimise corruption and leakages, expand the targeting and reach of various public schemes, etc. However, civil services has it’s own challenges. For example, several cynics believe that bureaucracy is plagued with several ills like corruption, political interference, unfair public expectations, predatory media scrutiny etc. The positive way of looking at it is that these are the constraints which make the bureaucracy a challenging career. Remember, it is that ability of the IITians to deliver the best results even under severe constraints, which makes them respected and coveted throughout the world. The same holds true for bureaucracy – despite the myriad challenges, IAS officers should be able to deliver some of the best results. Yes, Civil Services may not be the most remunerative career that there ever is. It is for this reason that I chose to take up the job as a Software Engineer at Amazon, an off-campus job, soon after my graduation in 2011, despite my inclination towards Civil Services. And then a year later, I went on to join Google. During this period, I realised that money doesn’t make much of a difference beyond a point and that certainly can not be the only reason that can take me to work everyday for the next 35-40 years of the career ahead. The fact that you’re graduating from one of the most prestigious colleges in the country ensures that you’ll earn enough to live a luxurious life ahead, irrespective of your CGPA/campus placement. It was after working for 2 years that I realised the importance of job satisfaction and chose that in lieu of the pay cut. However, if one takes into account all the benefits and perks like housing quarters, travelling allowance, domestic help, etc., which a civil servant gets, the pay cut isn’t huge. But if money is all that one cares about, Civil Services is certainly not a good career option. One must choose Civil Services for the right set of reasons, and mine are the ones that I mentioned above. But deciding to get into Civil Services isn’t everything. There is still the humongous task of clearing the Civil Services Examination, which is touted as the “mother of all examinations”. As per the current exam pattern, there is one optional subject which an aspirant must choose from the given list of optional subjects. I chose Mathematics as my optional due to my personal interest in the subject and given the list of the optional subjects, it suited my background the most. One must choose an optional subject purely on one’s interest in the subject and not due to any misconceptions like less syllabus, more scoring etc. There is no such thing as a free lunch and Union Public Service Commission (UPSC), which conducts the Civil Services Examination, certainly doesn’t provide one. I took the audacious step of leaving a cozy and a well paid job at Google in June, 2013 to prepare for this exam full time. It was probably the most difficult decision of my life as I wasn’t sure if it’s worth the risk, that I may not be able to clear the exam. But I was sure that I would regret my whole life if I didn’t take that chance, while I could. So I took a calculated risk, that I would give only one attempt at this exam so that I can still find a job as a Software Engineer in case I didn’t clear it in the first attempt. This put a compulsion on me to give everything I had in this first attempt. I even taught myself to learn not just from my own mistakes but also from the others’ mistakes so that I can avoid them. For example, Gaurav Agarwal, the topper of Civil Services Examination in 2013, failed to get into a service of his choice in his first attempt because he didn’t do adequate test practice. I learned from this experience of his about the importance of a test series and thus was able to avoid the same mistake. Having been an IIT-M grad, I turned out to be quite strong in aptitude and reasoning. This helped me a lot in cracking the CSAT (Paper II) of Prelims, mastering my optional – Mathematics, and analysing and drawing conclusions logically both in the mains as well as the interview. After preparing for one year, I gave my first and only attempt in August, 2014 which marked the beginning of a one year long process of three “exam-wait-exam” cycles, that finally ended on 4th of July, 2015, when I found my name at the 18th position in the final list of successful candidates. This whole journey of mine that lasted for 2 years saw great ups and downs. There were times when I felt totally disheartened and doubted myself. I would watch movies for a break or for inspiration. I would also take a ride to the Tank Bund (Hussain Sagar lake, Hyderabad). While the cool breeze there comforted me, I also got to observe different people belonging to different socioeconomic strata, some of them struggling so hard just to earn that one or two meals everyday. Looking at them, I realised how fortunate I was for not having to face the same fate. But more importantly, it would motivate me in my preparation, for entering Civil Services would give me that opportunity to improve the lives of such people. I asked myself that if an old man can sell pani-poori under the scorching sun, can I not show a small part of that tenacity to crack the Civil Services Examination? I will conclude by reiterating that Civil Services is a great career to pursue. Our generation is in a unique and a fortunate position because by the time we reach the retirement age, India would no longer be a developing country but rather a developed country. Joining civil services now, will mean initiating and being a part of this massive transformation. Those who have an interest in the career must not shy away from it for the fear of clearing the Civil Services Examination. After all, if I can do it, so can anyone else. And a word of advice to the aspirants – “Walk into the Civil Service Examination as a civil servant to walk out as one”. Saikanth is also pouring all his experience about the exam into his blog. Do check it out.